I'm a busy guy--photography, writing, editing, reading. So to keep you updated with my latest goings-on I will share my adventures and latest thoughts right here! As the Associate Editor for Divephotoguide.com and Scuba Diver- Through the Lens, I don't get to write as much as I'd like. But fear not! I will keep this page updated regularly with some awesome photos and stories. So if that's what you're looking for, you've come to the right place! After a food bribe to my super, I was able to gain access to my building’s roof for the famous Macy’s Fourth of July Fireworks. After a five-year-long hiatus, the show returned to the East River where I was able to get an up close and personal view of the spectacle. Spectators try to catch a glimpse of the Macy's Fourth of July Fireworks show. - Get Started Early: Photographing near the start of the show helps avoid the smoke and haze that builds up through the night. - Long Exposures: Exposures of 2-10 seconds capture the amazing light streaks of the fireworks and take the guessing out of when to press the shutter. Make sure to use a tripod! - Pre-Focus the Lens: Before the sun sets, use the available light to focus the lens and then lock it in for nighttime. - Photograph Facing East: The darker sky to the east makes the fireworks pop even more. - Stack Multiple Photos: If you’re photographing from the same spot, using a tripod, you can always stack the fireworks photos on top of each other in post-processing for a more dramatic final result. It’s not really Summertime in New England without sun, water and shaaaahks. I set out again this week with the guys at Pelagic Expeditions off the coast of Rhode Island, where last year we found blue and mako sharks, Atlantic Bottlenose Dolphins and humpback whales (that was just one day). So far, this year, it’s been all about the blue sharks—a graceful, 10-foot long pelagic shark that visits the chilly Atlantic waters every summer. On Tuesday, we had 8-10 of these beauties check us out in the water at once. The blue sharks are naturally curious to the photographers and their cameras. Chomp! A blue shark chomps down on my camera. Until they get a little frisky. Whatcha looking for down there Mr. Shark? One hundred and four years ago, to this date, Jacques-Yves Cousteau took his first breaths. But it would be his countless breaths underwater from his self-invented Aqua-Lung that would leave the most impact. As a filmmaker, diver, explorer and conservationist, Cousteau brought the mysteries of the underwater world to the big screen and christened an entire generation (and generations to come) into the sanctuary of the oceans. So here’s to Jacque-Yves 104-year birthday—let’s celebrate with a few quotes and pictures. We tend to think of ocean pollution as a problem limited to major port cities—don’t know about you but I wouldn’t dive in the Hudson River. A couple years ago, I was on assignment in one of the most remote regions of the world Komodo, Indonesia, and was shocked to see garbage bags and plastic bottles tiled across the ocean surface. The truth is that in today’s globalized world, few places (if any) are immune from human activity. Today is World Environment Day, and as part of this celebration, the United Nations has focused its attention on the issue of ocean plastics pollution in Bali, Indonesia. 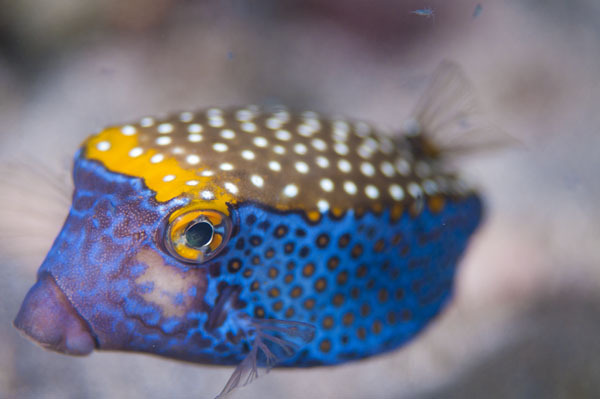 Bali is a special place for its marine biodiversity and so I thought I’d share some of my favorite underwater photography from beautiful Bali. 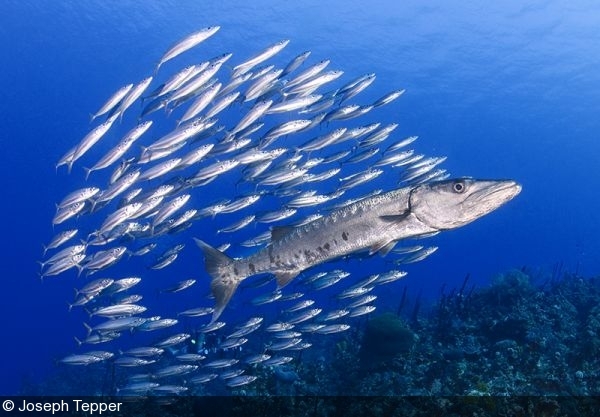 My latest article, "My Cayman Crush," has been published on DivePhotoguide. 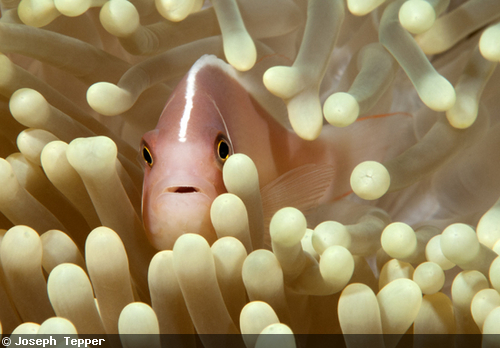 It explores what role this special destination has played in developing my career as an underwater photographer. Make sure to check it out! Slideshow of images below and full article, here. In addition to hot dogs and hamburgers, Memorial Day is a time to remember the brave men and women who have served in the United States Armed Service. 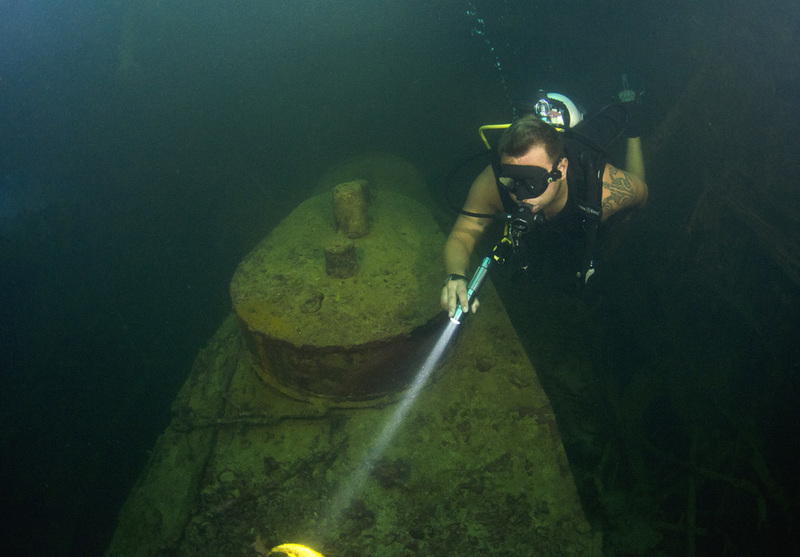 Underwater photographers are fortunate to get a first hand look at the sweat and sacrifice of those who have served for their country in battle—scattered across the Pacific, WW2 relics make for compelling and haunting images. Jake's Sea Plane is just one of a handful of Japanese aircraft left over from Operation Desecrate One. 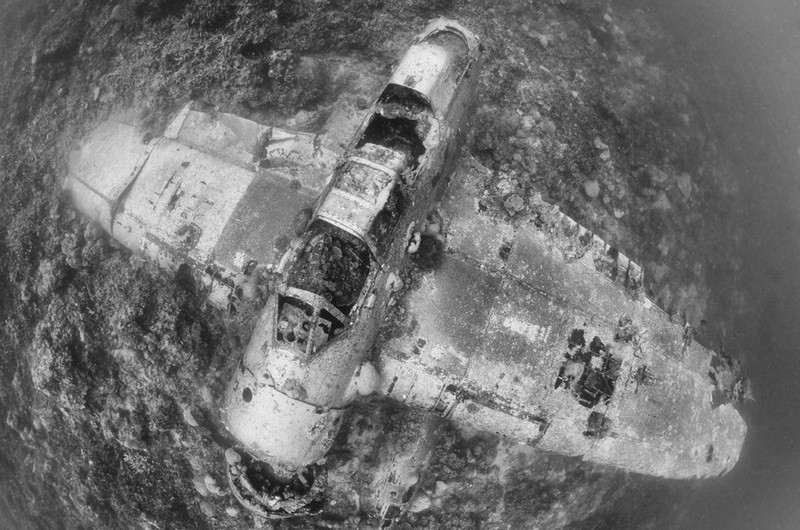 There is perhaps no better example of the prowess of the United States marine than the Ghost Fleet of Palau—more than 30 Japanese ships and planes sunk during Operation Desecrate One. Along with the attack on Truk Lagoon (Japan’s Pearl Harbor), Operation Desecrate One marks the biggest attack of the US Navy during WW2. I had the chance to photograph the Ghost Fleet last summer on an assignment to Palau. It is a reminder not only of the American’s victory in the Pacific front, but also the harsh realities of war—that history is more than just about the winners. 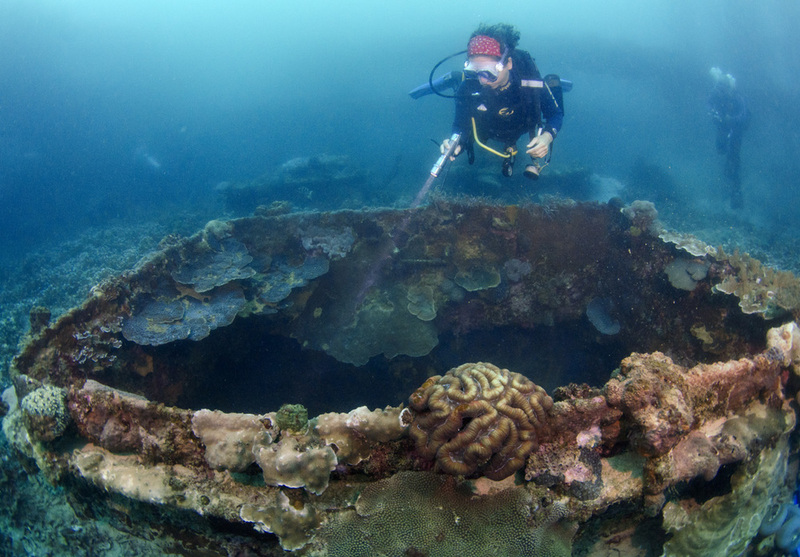 The Teshio Maru is the largest known wreck in Palau, whose large bow cuts through the gloomy waters of the inner lagoon. Japanese helmets and other supplies are all that's left on the accurately nicknamed "Helmet Wreck"
Coral-encrusted guns are littered about the wrecks--along with gas masks, saki bottles, and ammunition. 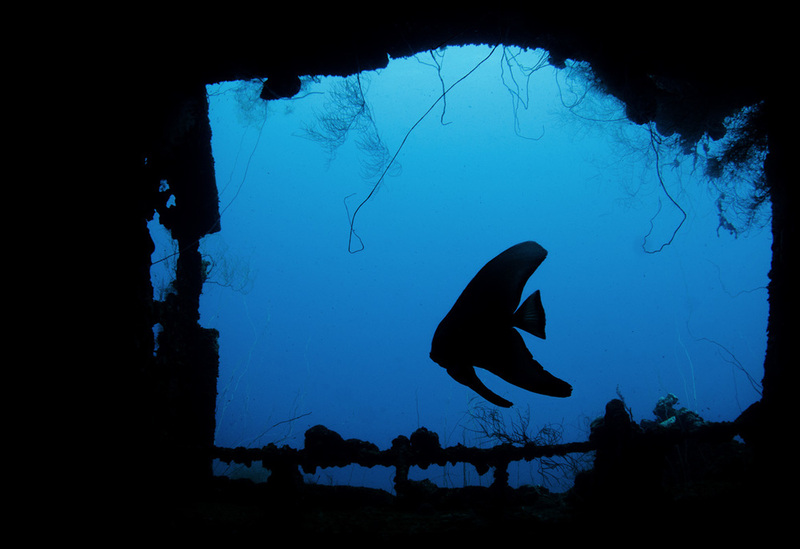 A diver explores a plane wreck in the shallows of Palau. 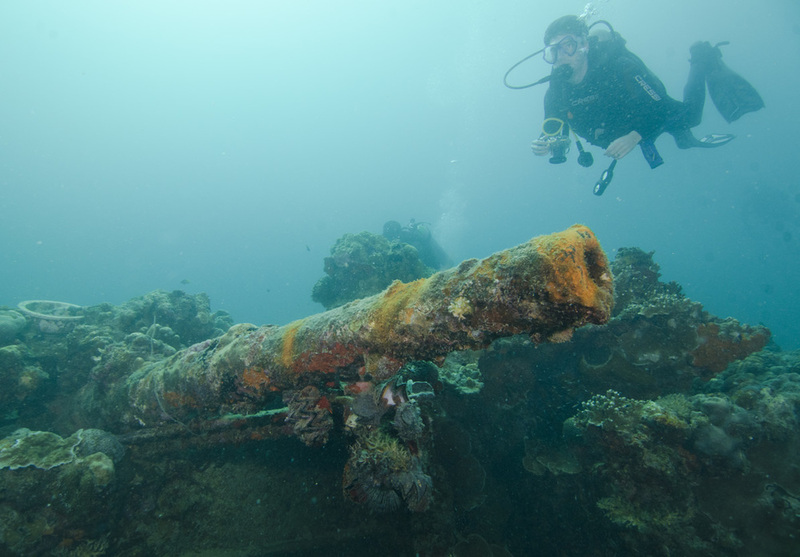 Massive guns still guard the wreck of the Iro Maru, which lies in 100-feet of water. 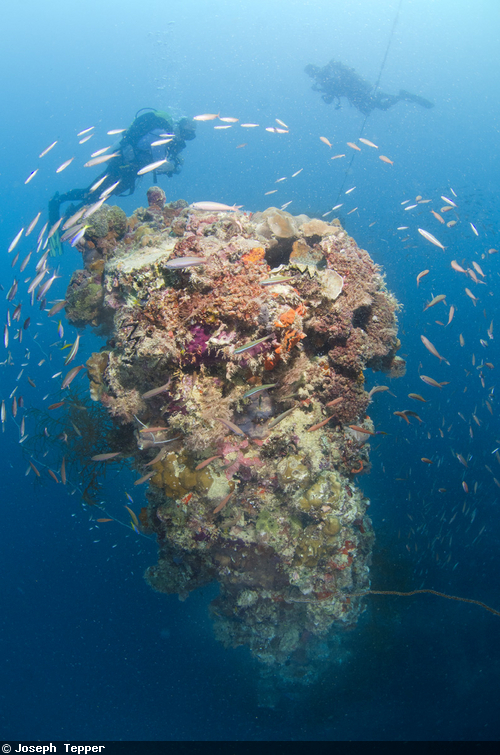 The Iro Maru is perhaps the most famous wreck of the Ghost Fleet, brimming with life such as these schooling silverside fish and a resident shoal of bar jacks. More images of Palau's Ghost Fleet can be seen in the gallery below. Happy Memorial Day! This week marks one of the biggest holidays in the world. No, it’s not Memorial Day for you Yankees out there. Nor is it National Escargot Day for the French. It’s National Turtle Day! "First you were like WHOA! Then we were like WHOA! and then you were like ..whoa.."
"Hundred and fifty, and still young, dude. Rock on." "Oh, man. Hey, no hurling on the shell, dude, ok? Just waxed it." "Gimme some fin. Noggin. Dude!" "Dude, Mister Turtle is my father. Name's Crush." Happy International Turtle Day 2014. For more info on endangered turtle species like the Hawksbill and Green Turtles pictured above, visit the Endangered Species website. What does a photojournalist do when he has a couple of months without a field assignment? Edit, pitch stories to editors, rinse and repeat. So much effort goes into planning your trip, nailing some good shots and pitching your stories (images) to editors, that by the time you've gotten the "Yes" email from publication X, Y, or Z, the task of actually writing the article seems a little scary. Fortunately, I find myself in that very position with 6 feature stories being published/having a deadline in the month of October. So I thought I'd use this opportunity in the next few weeks to share my top five tips on crafting photography features. 1. Good Lede: The Lede, a journalism term for the start of a story, must capture the reader's attention right off the bat. Short and direct, the lede engages the reader by teasing what the rest of the story entails. 2. Write to the Magazine: Every magazine or publication has a different voice. Some are more adventurous, others informative. If you're writing for a more teqnique driven publication (like DivePhotoGuide or WetPixel) make sure to tailor your story to that voice. 3. Show, Don't Tell: Perhaps the most common mantra of journalism, and yet the most violated. Use your description to draw the reader in. Replace common underwater cliches ("The water was turquoise perfection) with more creative descriptions. 4. Devil's in the Details: You can separate your writing from the rest by including nuggets of color, details and facts. In the following weeks, I will go into more detail regarding these tips, breaking down one or two per week. 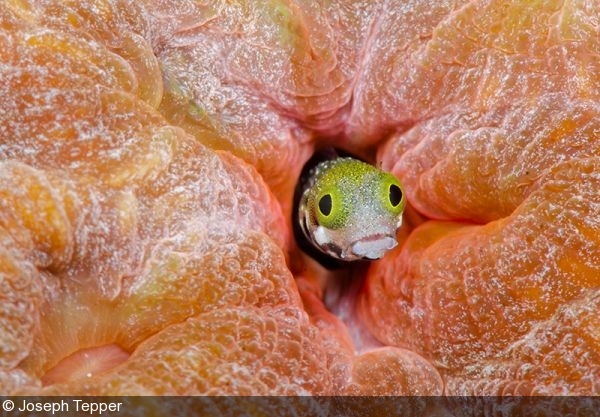 Until then, you can check out some of my recently published print work, or my features on DivePhotoGuide. 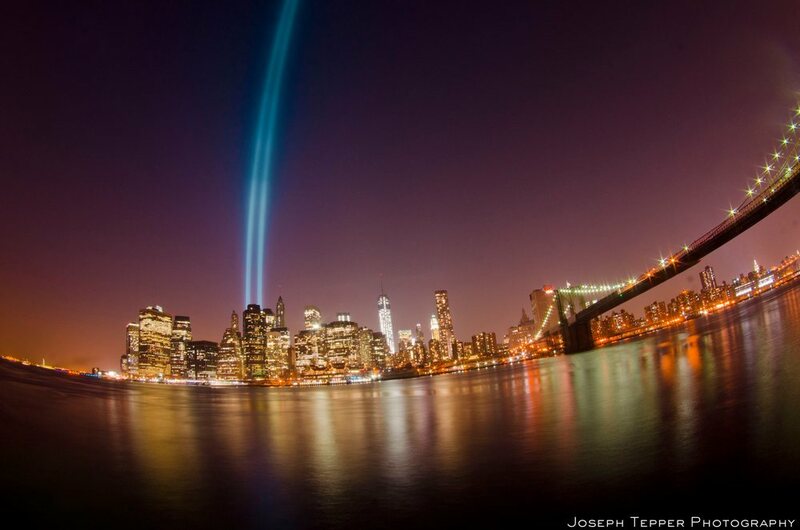 I was not a New Yorker on that September morning 12 years ago. I was not even a photographer. I was just in the third grade when the towers went down. Having lived in New York for five years, it’s hard not to build a personal connection to 9/11. Despite being fortunately to have not been personally impacted by attack, I live and work with so many people who experienced it firsthand that it’s hard not to feel a little retrospective every year around that time in September. I started photographing the Tribute in Lights three years ago for a photojournalism class at NYU, and it has since become a tradition. Although I find myself photographing the NYC skyline several times throughout the year, there’s just something about those 88 spotlights ethereally extended to the heavens that lights up my eyes and camera’s sensor. This year was especially special, as it is really the first time the new One World Trade Center has taken form, rising above the skyline—though not as high as the spotlights. It was also special because I was using the opportunity to teach my girlfriend Cara some photographic know-how. We spent several hours photographing downtown Manhattan beneath the shadow of the Brooklyn Bridge. Hours of stitching and editing and I finally ended up with the image I envisioned. We like it so much it will soon appear as the center piece in our apartment, mounted on a giant canvas. But to really get in the spirit, we took it to the next level; leaving DPG headquarters in NYC for one of our favorite shark photography destinations. Best of all, it’s only two hours away…by train. The morning kicked off with a bang—several bus-sized humpbacks partaking in a feeding frenzy! As much as I love whales, I have to admit I was relieved when Joe yelped “Shark!” We had found the attention of a Mako shark. Not a bad way to spend Shark Celebration Week. 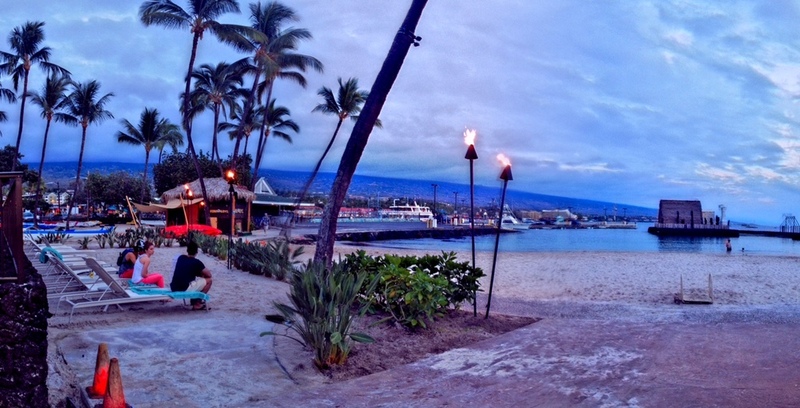 Kona Day 7 and 8: Spotted Dolphins, Hammerheads, and Beaked Whales Oh My! After 25 straight dives on the Kona Aggressor for 6 days, I was ready for some time off--so day 7 of my Kona adventures was spent catching up on some reading from the beautiful view of my (free upgraded) hotel room! Day 8 was back to business as I woke up at dawn to join Rob White of Blue Water Hunters for a day out at sea. What were we looking for, you ask? To be honest even I didn't know--a little of this a little of that, basically anything cool. The morning started out with a bang, with spotted dolphins riding the boat's wake--I jumped in with the boat still in gear, but had no real luck at a shot. We checked out the local FADs: No those aren't the hip things to do on the island, but rather fish attraction devices. My free diving guide for the day even dipped down to about 40 feet to drop off some sardines for any sharks willing to come say "hi"; but of course, none did! The next few hours were filled hoping in and out of the boat with camera and snorkel kit chasing after hammerheads and various other sightings (without much luck). I was beginning to doubt if I'd get up close and personal with anything that day when Rob shouted "beaked whale!" 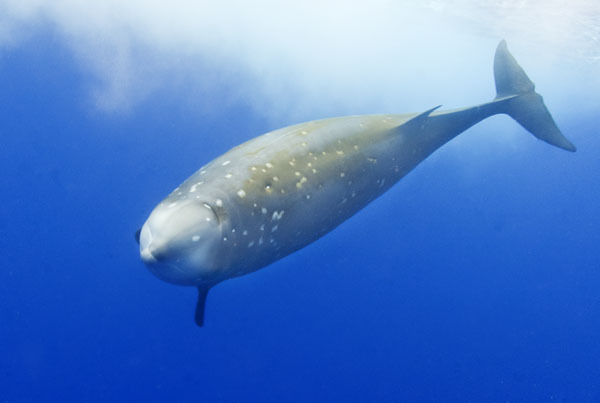 I had no real idea at the time what exactly a beaked whale is, but there was a little bit more pressure when the boat captain added "If you get a shot of it in the water, it will be the fifth in the world." No pressure of course….so I hoped in and found this coming straight at me! Back on the boat the captains suspicions were confirmed: It was none other than a Cuvier's Beaked Whale. A 20-foot long cetacean that lives oh at a few miles below the surface and we were super fortunate to catch it during a breath. Moral of the story--hop in the water no matter what and you might just end up with one of five images of a species in the world! Days four and five of my Kona adventures brought more awesome underwater goodness, as well no wi-fi signal (hence my absence for 48 hours). I did a first for the week—and skipped a dive. Why you ask? Well, we pulled into a small inlet for an afternoon dive to the sight of dozens of spinner dolphins making laps around the bay. So, I ditched the tank, donned my snorkel kit and with camera in hand swap out into the middle of the bay. I felt a bit the fool for the first 20 minutes, alone in the water without dolphins and the liveaboard barely in sight. But I wasn’t alone forever—soon enough the pods of dolphins began to make laps around me, as I gave chase hopelessly trying to snap away. 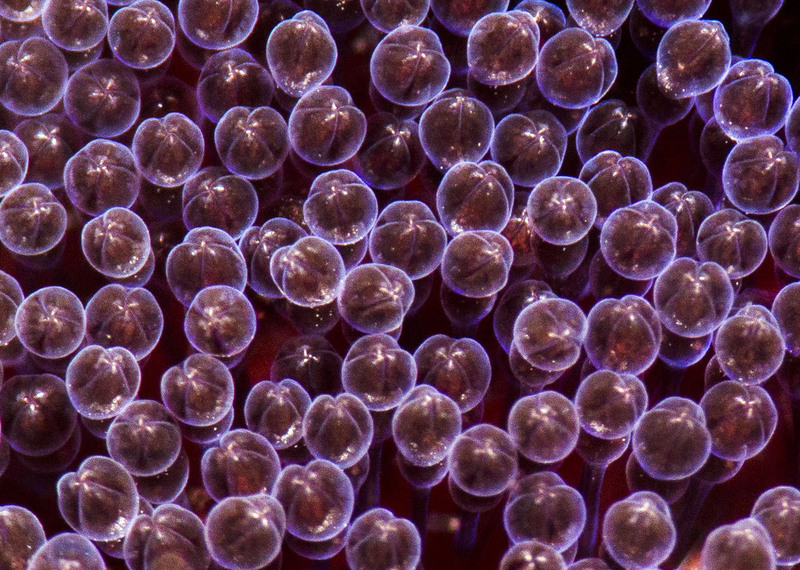 Photographers (underwater ones especially) have a habit of building up their expectations for a shoot. Well the manta night dive lived up to my best expectations, and then some. Every night dozens (no exaggeration) of mantas gather in the shallow water only a stones throw from the airport. They are attracted by the scads of infinitesimal krill and invertebrates drawn to the divers’ lights. And what a show it is! I sucked every breath out of my tank as these underwater “big birds” with 20-foot-wingspans summersaulted right in front of my lens. What a couple of days! When I get internet again I'll make sure to tell you what else I saw. The surge finally settled down in the morning just in time to hope onto a great critter dive--making the task of focusing on tiny pipefish, long nose hawkfish and frogfish possible! From the morning macro, we began a northward journey to Ampitheater, where I got my first chance to swim in (and also photograph) a lava tube! Basically, it's a long, narrow passageway through the heart of the reef created by 2000-degree molten rock flowing thousands of years ago. 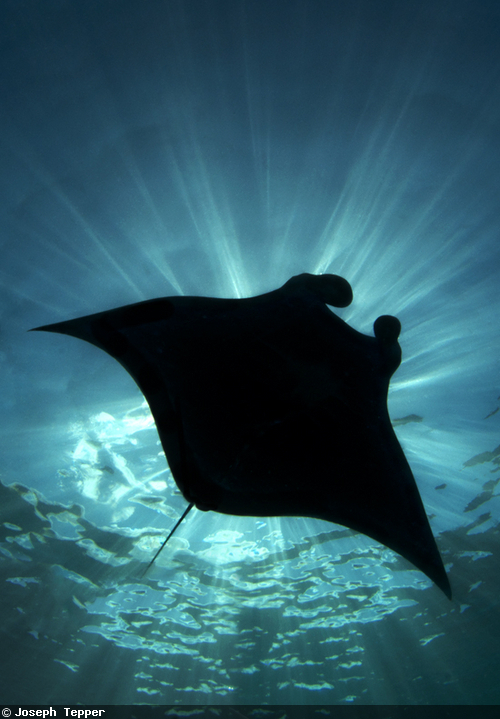 Not before long, the sun set below the horizon and it was time for the moment I'd been waiting for--Manta madness. Every night, mantas gather underneath boat lights to feed on the infinitesimal krill that are attracted. It's quite a feeling to have a manta with a 20-foot wing span swoop so close overhead that it knocks your mask right off your face. Well, that's all for day three in Kona--but stay tuned to see what tomorrow brings--hopefully some dolphins and whales and even more mantas! Another day in the books in the waters of the Big Island. The seas settled down today as we continued to work our way through some of the best critters in Kona. Hopefully when we wake up tomorrow the seas will be calm because I'm sure getting sick of this swell! Besides, it's time for mantas, dolphins and lava tubes! I'm not big on getting up early. Wake up calls: Ignore them. Alarm clock: Snooze. But when you hear the captain shout "humpbacks off starboard!" at 6 AM, even for me its hard not to leap out of bed. No great pics of the whales, but what a way to kick off the day! 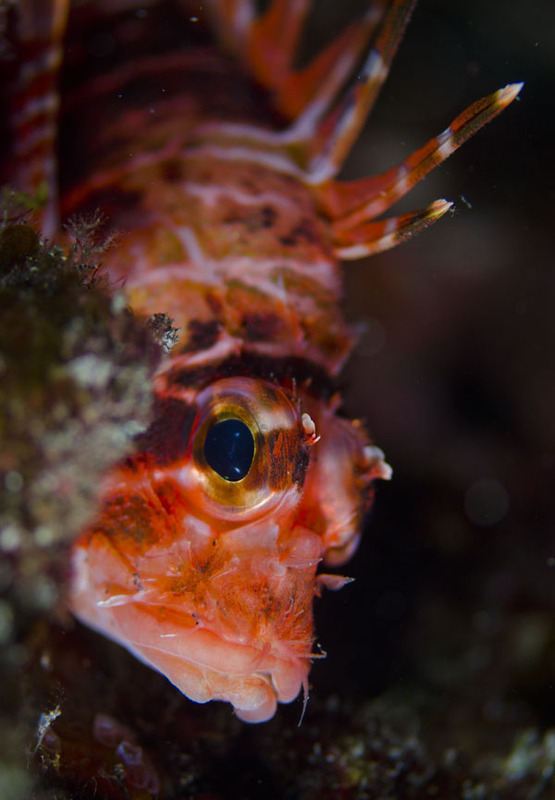 An intense surge has rocked and rolled us all day, postponing the famous manta night dive--but I got to spend the day with some of Kona's crazy critters instead: decoy scorpionfish, Hawaii lionfish, and all sorts of crustaceans. You have to love the modern world some days. Yes we may be destroying our oceans and embroiled in political debates--but you can also get a direct flight from Chicago to Honolulu! How amazing is that?? So after the 9-hour direct flight and a quick jump over to Kona, I landed in the Big Island last evening to the sight of this beautiful sunset. Quick night's sleep and I'm about to board the Kona Aggressor--my home for the next week! How many of those will I get to photograph?? Well we will just have to wait and see! Taking My Photography to New Dimensions! It’s been just over six months since my last big assignment— so I’ve gone through all the photos a million times. I’ve spent hours editing backscatter from my best shots, from the descent shots, even from the outtakes. 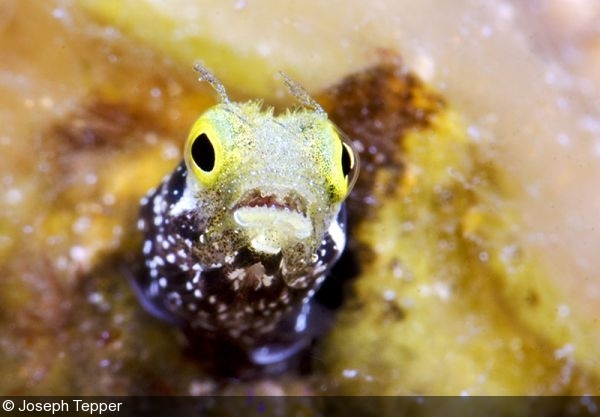 What’s an underwater photographer to do? Last month, National Geographic Brazil published a cover that got me thinking—it’s the image of a crock where the nose of the toothsome animal actually pops out of the frame and onto the magazine’s signature yellow border. It almost looked like it was coming right at me! Well with no diving in sight and some Photoshop free time, I set to creating the same effect with my more exciting images (even my own croc pic). I started by creating a Photoshop frame template with a three-quarter inch white border on the outside and a black one on the inside. Then I went through my portfolio in search for eye-popping wide-angle images—ones where the subject was already ready to pop out of the frame. By gently, carefully erasing the frame in front of the subject I could create the illusion that the subject’s fins, face even tentacles are leaping off the page (or screen). 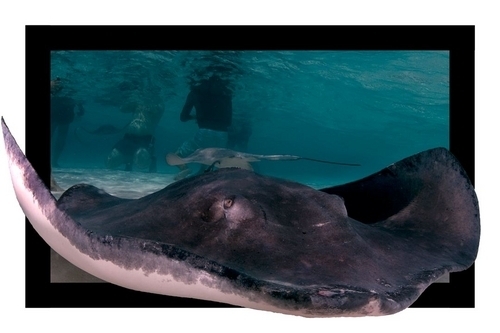 As with any technique, some subjects work better than others: Sharks, turtles, stingrays and other naturally exciting subjects definitely compliment the framing process. Macro subjects have a more subtle effect, like this super rare mototi octopus, which seems to be crawling gently out of the frame. One thing to keep in mind is to choose subjects in sharp focus. Blurry or bokeh subjects will take forever to get just right when erasing the frame, and even when complete might ruin the illusion. It may be time consuming, but the final results can be quite unique! Besides, what else are we doing during off-gassing other than looking through underwater photos already? 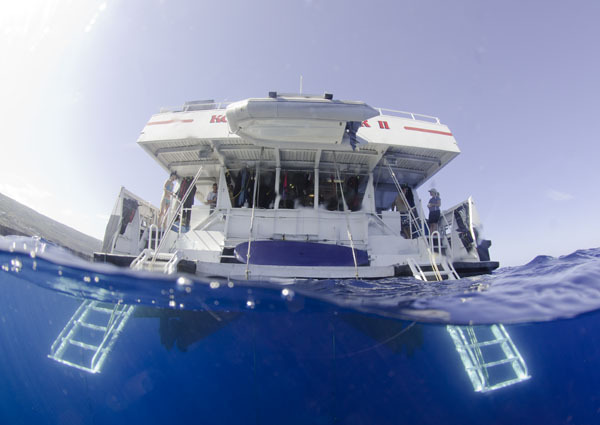 Shooting HD video underwater has gone from large and expensive to small and affordable in recent years. The GoPro has certainly peaked interest in capturing underwater video; but why do you even need a separate camera when you have your phone? 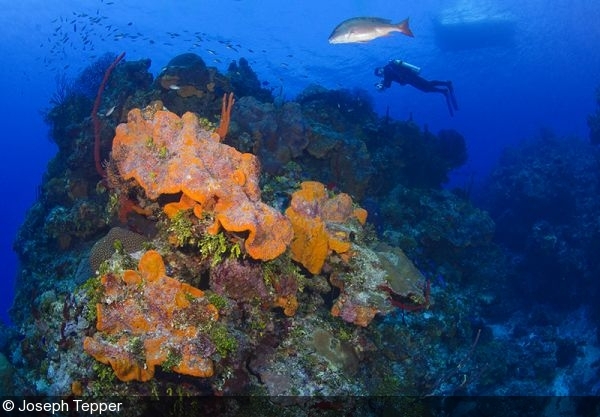 As part of testing out the iPhone in i-Divesite’s i-Pix housing in Grand Cayman last month, I was able to dive into the world of underwater videography for the first time. As a steadfast still DSLR shooter, I rarely if ever have spent time capturing video—but having the ability to switch easily between the formats with the app that comes free with the housing was actually a lot of fun. It was an underwater "camera" like I had never tested before. Dropping down onto a 100-foot-deep wall off of Grand Cayman I felt silly worrying about flooding the i-Pix housing for the iPhone. After all, replacing the phone would cost way less than, say, my DSLR. But needless to say, many of us (this photographer included) have become reliant on our smartphones from making calls, to texting, playing games, replying to emails and even taking photos and video.